Sometimes someone inadvertently performs a public service by bringing an unbelievably stupid and dangerous idea to the surface, where it can be exposed for what it is. 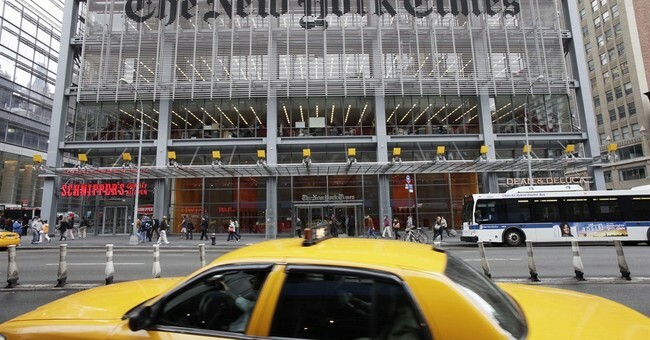 The New York Times can be credited -- if that is the word -- with performing this public service in a recent editorial against proposals to allow law-abiding citizens to carry concealed guns. They refer to what they call the National Rifle Association's "fantasy that citizens can stand up to gunmen by shooting it out." Nobody has suggested any such thing. Data collected over many years -- but almost never seeing the light of day in the New York Times or the rest of the mainstream media -- show many thousands of examples of people defending themselves with a gun each year, without having to pull the trigger. If someone comes at you with a knife and you pull out a gun, chances are they will stop. The only time I ever pointed a gun at a human being, it was when someone was sneaking up toward me from behind a shed in the middle of the night. I never fired a shot. I just pointed the gun at him and told him to stop. He stopped. Actually having to shoot someone is the exception, not the rule. Yet the New York Times conjures up a vision of something like the gunfight at the OK Corral. Concealed guns protect not only those who carry them but also those who do not. If concealed guns become widespread, then a mugger or a car jacker has no way of knowing who has one and who does not. It makes being a mugger or a car jacker a less safe occupation. Gun control laws are in effect occupational safety laws -- OSHA for burglars, muggers, car jackers and others. The fatal fallacy of gun control laws in general is the assumption that such laws actually control guns. Criminals who disobey other laws are not likely to be stopped by gun control laws. What such laws actually do is increase the number of disarmed and defenseless victims. Mass shootings are often used as examples of a need for gun control. But what puts a stop to mass shootings? Usually the arrival on the scene of somebody else with a gun. Mass shooters are often portrayed as "irrational" people engaged in "senseless" acts. But mass shooters are usually rational enough to attack schools, churches and other places where there is far less likelihood of someone being on the scene who is armed. Seldom do we hear about these "irrational" shooters engaging in "senseless" attacks on meetings of the National Rifle Association or a local gun show or a National Guard armory. The fallacy of believing that the way to reduce shootings is to disarm peaceful people extends from domestic gun control laws to international disarmament agreements. If disarmament agreements reduced the dangers of war, there would never have been a World War II. The decades leading up to that war were filled with international disarmament agreements. As with domestic gun control laws, the agreements were followed by peaceful countries and ignored by belligerent countries that built up huge war machines, such as in Nazi Germany and imperial Japan. The net result was that the belligerent countries had every incentive to start wars, and that they inflicted devastating losses on the peaceful countries that had drastically curtailed their own military forces. Eventually the Western democracies got their act together and turned things around, after they belatedly beefed up their military forces. But thousands of lives were lost needlessly before that happened. World War II was in its third year before Western forces won a single battle. Undaunted by history, the same kind of thinking that had cheered international disarmament treaties in the 1920s and 1930s once again cheered Soviet-American disarmament agreements during the Cold War. Conversely, there was hysteria when President Ronald Reagan began building up American military forces in the 1980s. Cries were heard that he was leading us toward nuclear war. In reality, he led us toward an end of the Cold War, without a shot being fired at the Soviet Union. But who reads history these days, or checks facts before leading the charge to keep law-abiding people disarmed?